Price negotiable depending on occupancy. This beautiful cottage is on the grounds of the owners home on the edge of the Knockmealdown mountains and is only 3 miles from Cahir. It is attractively furnished and decorated with the added benefit of all bedrooms ensuite. Wheelchair friendly wet-room in the master bedroom (wheelchair not provided). This is a splendid area for outdoor enthusiasts, where the Galtee trail takes you to the unspoilt mountain lakes. There is plenty to explore including Cahir Castle, Rock of Cashel, Mitchelstown Caves to mention just a few. Day trips could include the cities of Waterford, Kilkenny or Cork all within an hours drive. 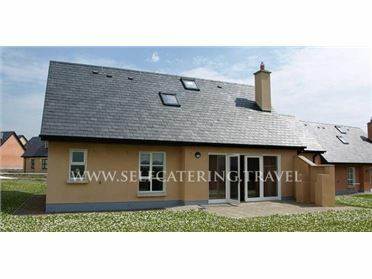 GF: lounge/kitchen/diner, triple with ensuite shower room, double with ensuite shower room. Electricity and oil central heating included, linen and towels included, all bedrooms ensuite, wheelchair accessible wet room in the master bedroom (wheelchair not provided), hairdryer, alarm clock, welcome pack, cot, high chair, TV, video, dvd player, CD, freezer, microwave, dishwasher, real solid fuel stove (fuel is supplied), w/machine, dryer, partially enclosed garden, shared courtyard, garden furniture, bbq, swings, locked shed available for storage, shared driveway, off road parking. Pets welcome. *The town of Cahir is built on the River Suir. This river is the second longest river in Ireland. It is a centre of excellence for Brown Trout and Salmon. Beginners and experienced fishing enthusiasts are sure to enjoy many happy hours of fruitful fishing along its banks.